SCVHistory.com BB7401 | Canyon Country | Canyon High School in the Snow, 1-4-1974. 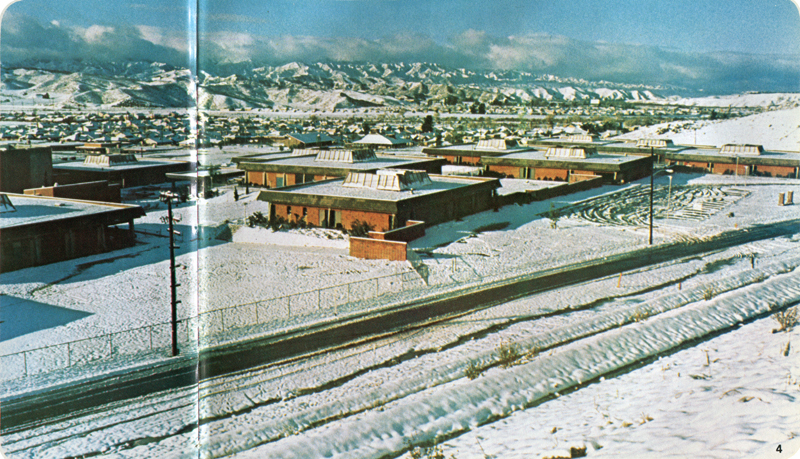 January 4, 1974 — Canyon High School in a rare snowfall. It started snowing Jan. 3 and continued into Jan. 4. Image from the 1974 Canyon High School "Trails" yearbook, pgs. 12-13. BB7401: 19200 dpi jpeg from book page | Collection of Bob Buechner | Online image only.